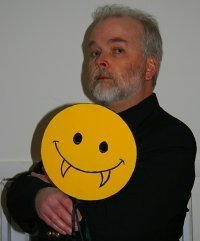 Upon my arrival at TSR, Lester Smith soon became both one of my favorite contributors to Polyhedron Newszine and one of my favorite people in general. In support of his “Weasel Games” column, he invited me to his monthly playtest sessions that still stand out as some of my favorite game sessions. That’s where he rekindled my interest in mechanics with games like The Whispering Vault and Don’t Look Back: Terror is Never Far Behind. He and his wife, Jenny, had me over to play games just for fun one time. Unfortunately for Les, I had learned more than he expected from his column. It took no time at all to pit him and Jenny against each other, and I won every game that night. I still don’t understand why they never invited me back. True to his character, Les weaseled my questions to merge two of them into a single answer. Rather than perform acrobatics to separate them, I’ve merged them into questions 1 & 2 and revised the question better to suit the answer. 1 &2. I’ve fond memories of your one-night playtesting sessions back at TSR. How much have you kept up regular gaming? And how has your creative output changed and returned home over the years? Those were also years in which a few companies dominated the scene: TSR, Avalon Hill, FASA, West End, SJG, and later White Wolf and WotC, with a considerable number of hobby presses putting out experimental items released mainly at local conventions or available only by mail. I’ve always loved the mystery of exploring those things (my first ever publication was a “capsule review” of the Wizards’ Realm RPG, in Space Gamer magazine), and although TSR was pretty jealous of its R&D members’ work, I managed to keep a freelance gig as a “small press” reviewer for Dragon Magazine. Much of what games I ran, the Lost Souls ghost RPG, for example, was partly “research” for those reviews. When TSR began to disintegrate—starting with Zeb Cook leaving, I’d say—my gaming dropped off. More significantly, when Tim Brown and I left TSR, the nature of company secrets left us somewhat outside our former gaming circles. Then TSR itself pretty much collapsed, WotC bought them, and most of the staff moved to Seattle. I took a job for an educational design house in 1998, and my gaming pretty much dried up. Much of my creative efforts returned to poetry. But my day job also made me aware of burgeoning possibilities in e-publishing and growing print-on-demand technologies. I launched Popcorn Press, originally mainly for poetry and some fiction, but with an eye toward a couple of role-playing releases. But writing role-playing books takes considerable time, which is difficult with a full-time job. Board games and card games require much less text, though more art and a greater mastery of “crunchy” mechanics. Fortunately, I’ve had some experience with those sorts of things, from design work on GDW’s Minion Hunter, Temple of the Beastmen, and Test of Arms board games, to designing TSR’s Dragon Dice, co-designing Blood Wars (with Steven Schend), and editing Spellfire (designed by Steve Winter, Jim Ward, Zeb Cook, and Tim Brown), as well as my own Demon Dice (edited by Tim Brown). In the fall of 2012, I learned of OneBookShelf.com‘s plans to launch DriveThruCards.com, a print-on-demand card company. Between poems, I’d already designed a half-dozen card games using poker decks, and I’d tried a Kickstarter campaign. So I thought, “Why not see if there’s enough interest to fund a campaign to illustrate one of these decks?” The result was Invasion of the Saucer People (my grandson’s favorite), which also funded Wolf Man’s Curse (one of my two favorites). I followed with Monster Con (four different decks) and Clashing Blades! and spent virtually all my 2013 vacation time attending game conventions. I also signed a couple of dice game contracts with SFR, Inc., which got me back to Gen Con after many years away. Which is to say, I’m gaming more than I have in a dozen years, but still nothing like the heyday of TSR. Most often I manage one board game a weekend with my wife and our live-in daughter, and I game my brains out at conventions. I also do one three-day game-a-thon with an old college buddy and a mutual friend: We rent a hotel suite and bring games, booze, and cigars. But most of my free time is either designing something or looking for ways to better expose Popcorn Press. 2. More than most of our fraternity, you are attracted to poetry more than prose fiction. What’s the allure of a form that so few readers seem to appreciate these days? What can those who love poetry do to increase the audience? Game design is poetry. (You can quote me on that.) Code is poetry. (That’s a WordPress quotation.) In each case, you conceive a wish and structure it within available rules, and something magical results. Language is poetry. Thought is poetry. Former Wisconsin Poet Laureate Bruce Dethlefsen said, “If a novel is winter, and a short story is a snowstorm, then a poem is a snowball, squeezed.” It’s all a matter of degree. But whichever, there’s something magical about water in crystalline form, white in the air and on the earth. There’s something magical about language, the way such structure conveys meaning. If I may extend the metaphor, sloppy execution of language is the sludge that gathers in gutters. In summary, I can take hours of delight in one well-turned phrase (like Bruce’s) or an adeptly crafted game. The highest compliment I can give is a jealous groan of “Oh, I wish I’d have conceived of that.” On the other hand, my life is growing too short for poems with no sweat invested in them (which is why I prefer the rigor of formal poetry—see what Philip Larkin did with rhyme, for example) or for merely pretty games with lots of art and toy value but lazy rules. One final word, regarding why poetry has fallen out of favor. I believe that about a century ago, academics stole poetry from the rest of us. Or more accurately perhaps, poetry diverged into two camps: heart and head. Poetry publishing became devoted to cleverness and demonstration of education; anything of emotion was looked upon as schmaltz. At the same time, the general public began to disdain “artsy” poetry as putting on airs, so they stuck to the classics, until the language of even those poems grew too outmoded to understand and became suspect as academic as well. Happily, a few major poets—Carl Sandburg, Philip Larkin, Billy Collins, and Ted Kooser spring to mind—continued to write in language regular people could at least understand. It may not have been enough to keep poetry popular, but it at least kept it alive. More happily, songwriters continued to marry head and heart in lyrics that people actually loved (maybe not academics, but, you know, people). And happiest yet, hip hop and rap have spawned a recent surge in spoken-word poetry that ignores academics altogether and takes the power of language back into common hands. I would be remiss not to mention as well that countless local organizations like the Wisconsin Fellowship of Poets have sponsored every sort of public poetry—including funding for the Wisconsin Poet Laureate, when our current governor decided to discontinue state support of the position. 3. You are a notorious weasel. Weasel gamer, that is. Can you tell everyone what that means? And what’s the difference between being a weasel gamer and just playing to win? You put your finger on the issue when you asked about the difference between playing to win and being a weasel. Playing to win is pretty self-explanatory: Take every opportunity to remain ahead of the pack and cross the finish line first; devil take the hindmost. Being a weasel is about taking pleasure in someone else’s loss—not a stranger’s, because that would be sociopathic, but a friendly rival’s. Lots of card games, in particular, have that back-stabbing, screw-your-neighbor sort of feel. 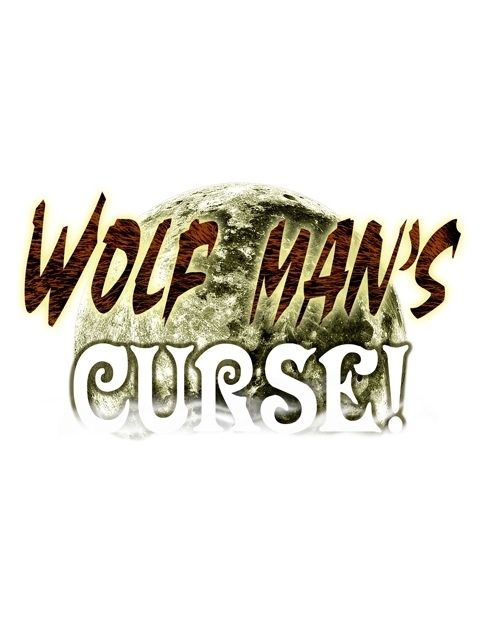 (Might I recommend my own Wolf Man’s Curse?) But the twisted soul of a true weasel may be best revealed in the moment of his or her own downfall. Confession: Once, when playing Formula D, I pushed my car a bit too hard on the last lap, in a desperate effort to stay in the pack. The die punished me, and I realized that the only way to save my battered wreck would be to spend my last point of brakes, spin out, and start the next turn in first gear. That would effectively take me out of the race; there was no way of getting back up to speed and catching up again. Then it dawned on me that if I chose not to spend that last point of brake, I’d move one extra space, which would crash me into the back of Ken Whitman’s car, destroying his last body point, and taking him out of the race as well. Need I say which I chose? 4. You have an especial love of horror, for which I love you all the more. Can you recommend five horror games that every gamer should have on the shelf? For roleplaying, Call of Cthulhu (any edition) is my favorite. It avoids the Scooby Doo aspect of too many horror RPGs; that “Sanity” rating is one of my earliest “Wish I’d thought of that” memories. The free Lost Souls RPG is also a favorite, placing players in the role of people who have died before their time. My only caveat is that it sometimes has a bit of a split personality, with aspects of the movies Beetlejuice and Ghost in competition. Or maybe that’s a strength: you can play up the comedy or the horror, as you see fit. I’m a huge fan of the Buffy the Vampire Slayer board game. With a bit of online searching, you can even find fan-designed expansion scenarios. (Don’t forget to check any broken links with the Wayback Machine. For sci-fi horror board games, I’ve never been able to decide a favorite between Aliens and Space Hulk. Finally, if you can find it, the old Dark Cults card game (1983) is a two-player masterpiece. One player is life, the other death, and cards have a sort of “grammar-based” sequence of what can be played when. Death is trying to kill the protagonist for points; life is trying to put the protagonist in chancy situations then rescue the character. It’s a great early example of competitive storytelling. Track Les to his weasel lair at Popcorn Press. This entry was posted in Writing and tagged Creative Colleagues, TSR by Dave Gross. Bookmark the permalink.